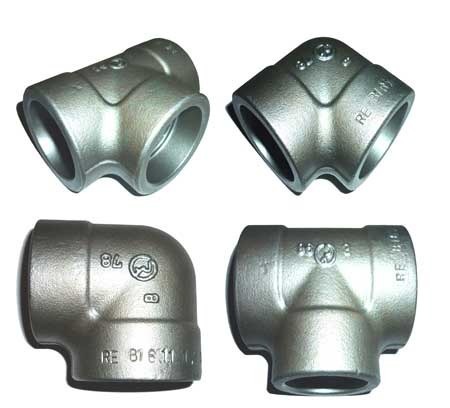 We are a widely acclaimed manufacturer, supplier and exporter of Weld Pipe Fittings. The fittings we offer are designed in accordance with the international industry guidelines using high-grade material and technically advanced machines. We provide these fittings to our esteemed clients as per their specific requirements and demands. We have a huge infrastructural unit loaded with high end machines for handling bulk orders conveniently. Our raw materials are procured from a reliable vendor base for maintaining quality. The manufactured goods and the raw materials are checked in the quality control unit. We have a spacious and systematic warehouse for keeping products free from dust and moisture. Our professionals have helped us to supply our products across the globe including Africa, Asia, Europe, Japan and Gulf Countries.